The Chinese government is putting forward a proposal to stop people from using the national anthem improperly, and this could be applied in Hong Kong. The draft law would ban people from playing March of the Volunteers at events such as funerals or using it as background music in public places. I can't find it now, but on the TV here there are ads for the baijiu brand Wuliangye that uses the anthem in its commercials. If the law is passed, that commercial would be considered illegal, which is maybe why I can't find it online! And those who rewrite the lyrics or make parodies of the anthem could be punished for up to 15 days in detention. 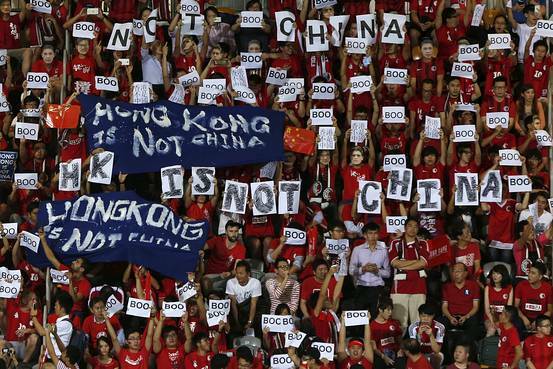 It also means that the Hong Kong football fans who booed during the national anthem ahead of the World Cup qualifiers between local and national teams in 2015 would have been breaking the law if it was in effect at the time. 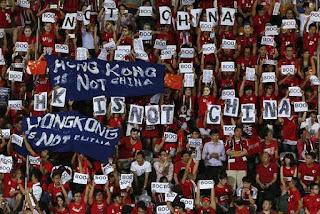 Following the incident, which was admittedly childish that escalated into hostility, Hong Kong's football governing body was fined by Fifa after the incident, which came during the height of anti-mainland sentiment in the city. As a result it's a touchy issue especially in Hong Kong, though Chief Executive Carrie Lam Cheng Yuet-ngor says local residents shouldn't be so sensitive about it, and that it is a law that should be passed in the city. 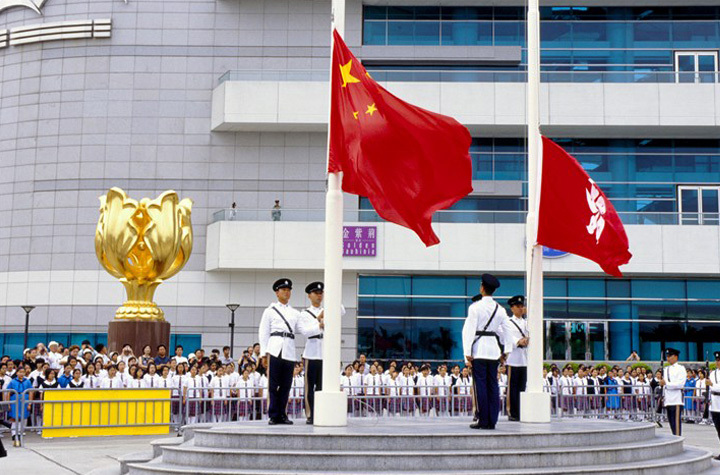 "Protecting the dignity of the national anthem is the obligation and responsibility of the Hong Kong SAR government and indeed of all Chinese nationals," Lam said. "But the exact scope and content of the local legislation would have to be considered in light of the legislation to be enacted by the National People's Congress Standing Committee." She likened the draft law to be similar to legislation on the national flag and emblem, both of which passed in Hong Kong. "We are living in a more politicized environment," Lam said. "We need not adopt a very politicized stance... This particular matter of national anthem legislation does not carry any particular scope for politicization." 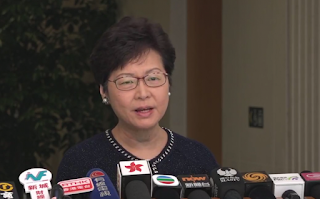 The Chief Executive added the law was national in scope, and not directed at Hong Kong. However, if implemented, children in primary and secondary schools here would have to sing it, and residents would be encouraged to sing it to "express patriotism". Already pan-democrats are wary about the proposed legislation. Civic Party lawmaker Dennis Kwok said Hong Kong must adapt to the draft to produce a local law as many of the requirements would not be acceptable in the city. "The 15-day detention does not apply in Hong Kong, while the city also has a very different education system from the mainland," he said. Seems that people are are concerned about it to a degree. My question is -- does the national anthem need a law to protect it? Isn't it expected that people would respect their national anthem, and other countries too? Or does this need to be spelled out? For example Canada has the National Anthem Act, which states the lyrics and melody of O Canada, but allows users to freely use it for musical arrangements and it is up to citizens to exercise their best judgment. There is etiquette when the national anthem is played, but there are no strict guidelines. Pretty much every time Beijing acts in a draconian manner (and/or compels the Hong Kong government to carry out its orders), it strikes me as less of a powerful state than a thoroughly insecure regime. Hi YTSL -- Yes... it's too bad. Why suddenly a law to protect the national anthem when it's been used for over 60 years? !